Mike grew up in the San Joaquin valley in California. He graduated from Cal Poly SLO and then went on to do Masters work at UC Davis. From there he and Barbi started Boyle Performance Horses and eventually purchased Boyle Ranch. He mainly trained all around horses and showed AQHA until 1995 when he showed in his first NRHA event. At that point, he was hooked and know that he wanted to make aMike Boylechange and go straight REINING. In 2009 he was the NRHA Intermediate Open Reserve Futurity Champion and the Prime Time Open Futurity Champion winning $87,000+ during that year on Hick A Shine. Then in 2011 he went on to do well again by showing Easy Lil Lady, to the second leading composite score, Open Futurity Finalist and Prime Time Champion at the NRHA Futurity, again winning over $87,000. Mike has also given back to the NRHA by being on the NRHA board and Executive Board of Directors for 8 years and then voted by his peers to be the 2007 NRHA President. He took over a year off of showing during his Presidency to help run the Association that he has been so closely involved in. Mike was also inducted into the WCRHA (currently the largest Affiliate Club) in 2009. Mike joined the Darling 888 Ranch team in 2011 and 2012 and is now back in California training and coaching. 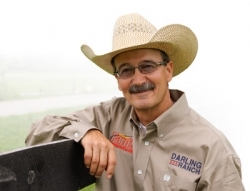 He continues to help guide the Darling 888 Ranch to become a premiere East Coast facility.